When did we start the fire? I will conduct a series of experiments looking at fire micro-residues in modern and archaeological contexts to determine expectations of intentional fires and compare results to FxJj20 AB, Koobi Fora, Kenya, a site dated to 1.6 Mega annum, where burned bone and sediments have been identified. I will determine the what evidence can be expected and whether that evidence will preserve over time, forming the basis for future fire studies in archaeological contexts. This project is part of a larger research project investigating the origins of fire use in human evolution. While some researchers think regular fire use didn't begin until 350-50 thousand years ago 1, there is evidence in the human paleontological record suggesting that fire use may have been responsible for the evolution of modern human body forms, beginning with Homo erectus ~2 million years ago 2. The larger body and brain size of H erectus, along with smaller teeth and guts indicate an increase in diet quality, possibly from cooking food, which increases digestibility and caloric return of food, and reduces toxins and pathogens. This research adds another tool for discovering how and when our ancestors began using fire, a critical question in human evolution. The methodology proposed for this project has been successfully used in later contexts, and cave sites, where evidence is more likely to preserve. We know that it is possible for these micro-residues to preserve in very ancient contexts outside of caves, but we do not understand the relationship of these micro-residues to behaviors that can be demonstrated in the archaeological record. This project will look at micro-residues in modern contexts resulting from specific fire-using behaviors in comparison to the background signature of the environment, and then apply the data from the experiments to an archaeological site where fire has been identified through bone and sediment. This will look at issues of preservation and movement of the microscopic particles through time and space. The project will set experimental fires, some with experimentally produced stone tools. I will sample the sediments within and around the fire and sample burned and unburned tools to determine if micro-residues recovered within the intentional fires are different from the micro-residues recovered outside the fires. When this is established, I will sample sediment and stone from an archaeological site where fire has been identified by clusters of burned bone and sediment. Samples from the site will be taken from within and outside the clusters on site as well as from areas around the side where no archaeology has been found 1. The results will allow me to identify whether the evidence found with site can be related to the patterns observed in the modern contexts. The money in the budget will get me to Kenya and purchase the equipment necessary to conduct this research. My affiliation with the Koobi Fora Field School allows me to do the work in the field for no cost, but I still have to purchase my ticket to get into Kenya. The equipment will allow me to extract the micro-residues of fire from sediment and stone tools. Sodium Polytungstate (SPT) powder is used to make a heavy liquid. Samples are mixed in this and then centrifuged to separate the micro-residues (phytoliths and microscopic charcoal) from the dirt. The sonic cleaner will extract micro-residues from stone tools by dislodging them from the crevices of the tools. Micro-residues will float to the top of the sample during centrifuge spinning and will be siphoned from the SPT solution and placed on glass slides for analysis under a microscope. This project will make significant contributions to the study of when our ancestors began using fire. This research aims to establish the methods that archaeologists can use to identify fire in very early sites that are found in the open, as opposed to in caves. 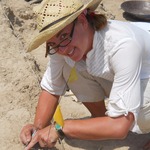 Sarah is an expert archaeologist, with an immense scientific and methodological knowledge, but more importantly, she has the energy and enthusiasm necessary to make this project a great success. I believe this project will have an important impact in the field of Human Evolution. The project will begin this June, during the Koobi Fora Field School academic session. The experimental work will take place in mid-late June, and the archaeological comparison will take place in late June and early July. Final comparison and analysis of the project will take place in late July and early August and material will be ready for write up and publication in the fall of 2018. The team will consist of myself, a graduate student at the Stone Age Institute in Indiana, Chloe Daniel, and a student of the Koobi Fora Field School. Together the three of us will conduct the experiments, take samples, analyze the samples, and compare the experimental data to the archaeological data. 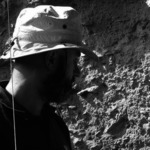 I have been interested in archaeology since I was a small child. During my undergraduate years, this merged with my fascination with evolutionary theory and I began studying evolutionary archaeology. I have been looking at the ways in which the archaeological record can inform us about when and where human ancestors began using fire. This topic is so interesting because it is critical to understanding how humans have evolved; an early adoption of fire as a tool for cooking or warmth could explain why Homo erectus (~1.9 million years ago) looks so much like modern humans and how it was able to leave the African plains and colonize other places in the Old World. My research has taken me to Koobi Fora, Kenya, a beautiful and remote fossil and archaeological locality where many famous sites and human ancestors have been found. My work has given me the opportunity to work with the Koobi Fora Field school, helping to train the next generation of paleoanthropologists and archaeologists. This research is so fascinating to me because there are so many facets to studying it: traditional archaeology, experimentation, geology, and novel methods that look at microscopic residues of fire on stone, bone and sediment.